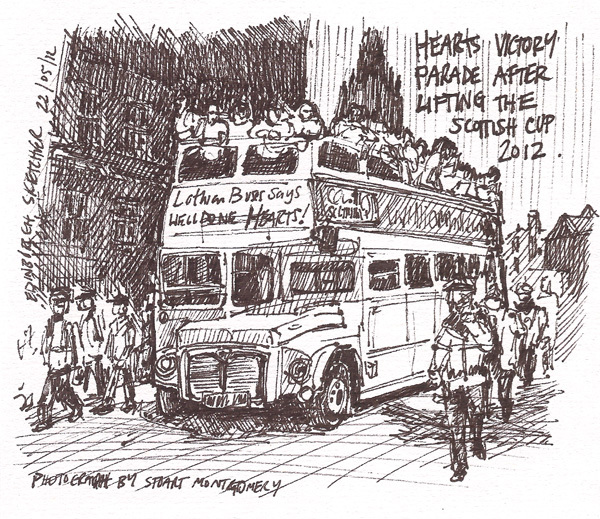 Congratulations to Hearts for lifting the Scottish Cup at the weekend, and commiserations to Hibernian who were runners up in the all Edinburgh final at Hampden. Although I missed the celebratory bus tour through Edinburgh on Sunday I thought I should mark the achievement by one of our teams with a sketch. I found a great picture on flickr taken by Stuart Montgomery, HERE is the original photograph.